For tougher tags and labels, just write, peel, and press! Your laminated tag or label is ready-to-go. You get the durability of protected graphics, but the convenience of being able to write in your own information. • Each label or tag has a pre-attached clear polyester flap. There is no need for a special laminator. 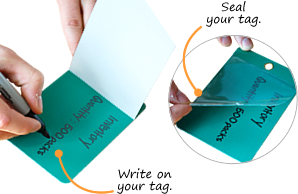 Just write in your own text and use the built-in clear laminate to seal in your writing. • Find hundreds of designs – for inspection, LOTO, inventory and more. • These self-laminating tags are durable. We have attached our tags on a truck’s bumper during the winter months, left them in the water tank of a factory’s toilet for over six months and subjected them to dozens of power-washings. They have passed and, importantly, remain readable and strong. No tag lasts longer. No tag is more durable, flexible and affordable. Find hundreds of uses. Lots of colors, too. All products are self-adhesive and have a built-in self-laminating flap. Write on the label, seal in your writing and then stick the entire label to any clean surface. 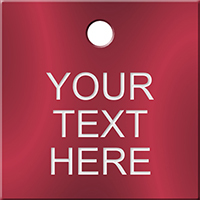 • Order your own custom self-laminating tags. Just send us a sketch and we’ll handle the rest. • Surprisingly affordable. Just a 10-tag minimum! • All colors and lots of different shapes. 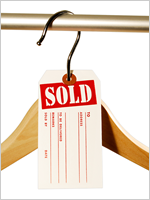 • Blank tags can be used anywhere: valve, equipment ID, keys, shipments and more! 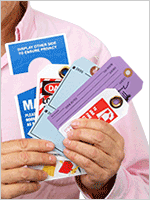 • Find the web’s largest collection of self-laminating lockout tags. • Sealing in your writing makes it hard to tamper with your vital safety instructions. • Make sure that you QC and inspection records are secure. • Self-lam tags are great for both both indoors and outside. • It’s easy to make your own badge. Print your own photo and stick it into the badge. • Seal it all in… and you have a durable and professional badge. • Lots of different colors and sizes! • Sticks to any clean surface. • Seal and secure your inspection and QC records. • Find over 100 different legends in stock. • Clear “tail” of the self-laminating label wraps around the printed portion of the label. • Great for marking tubes and wires.